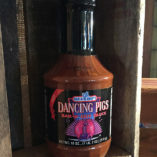 One 18 oz. 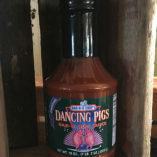 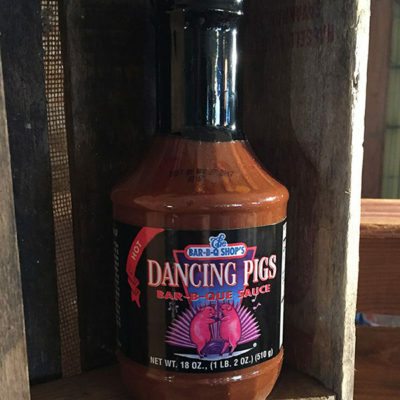 bottle of Original Dancing Pigs Bar-B-Que Sauce, one 18 oz. 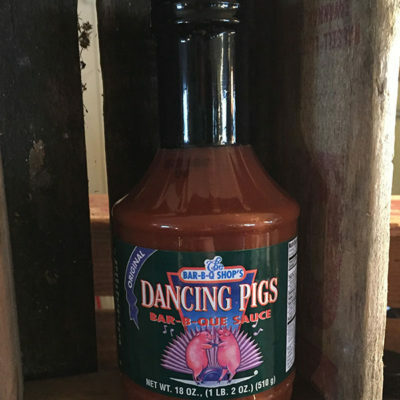 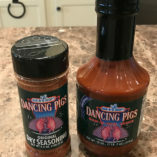 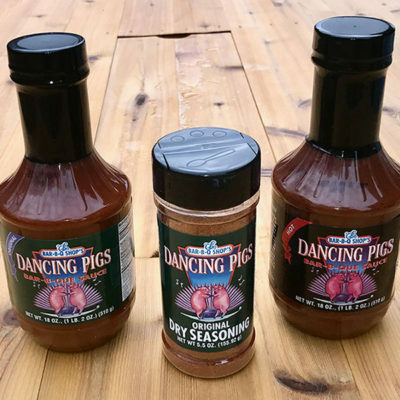 bottle of Hot Dancing Pigs Bar-B-Que Sauce, and one 5.0 oz. 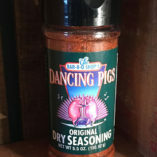 jar of Dancing Pigs Dry Seasoning. 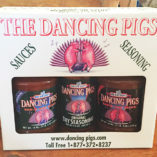 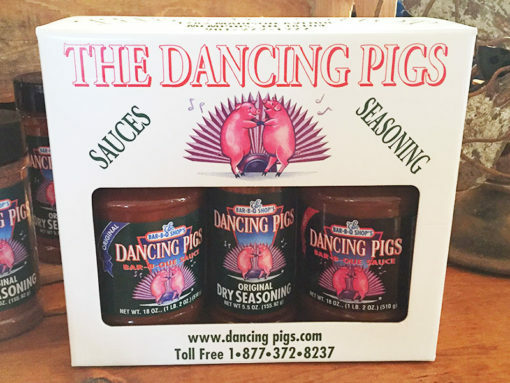 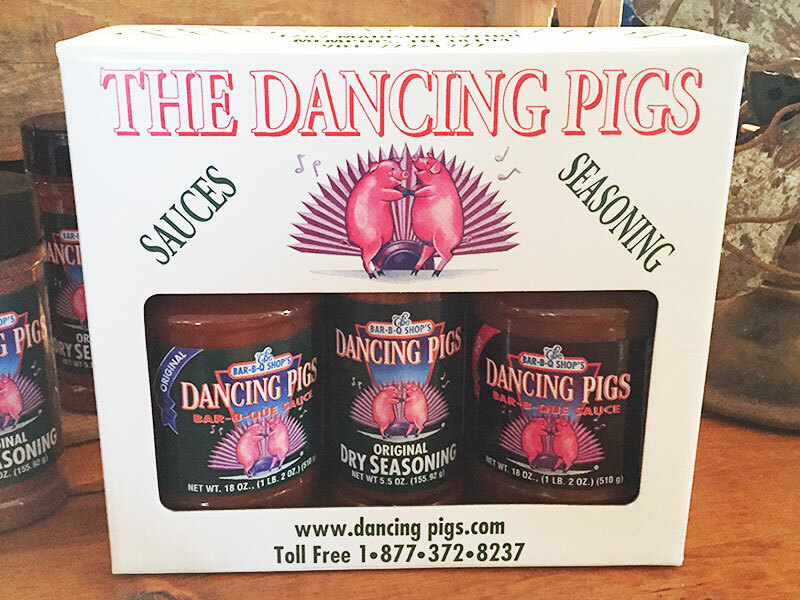 Comes packaged in the attractive Dancing Pigs gift pack box.